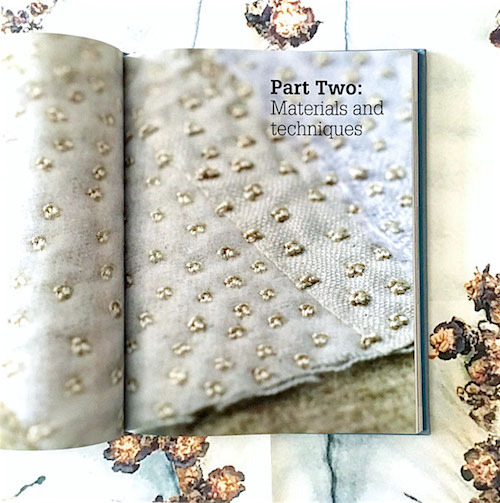 I am thrilled to announce that textile artist Claire Wellesley Smith has re-issued her beautiful book, Slow Stitch: Mindful and Contemplative Textile Art, published by Batsford Books in the U.K. This exquisitely illustrated book is a visual feast filled with one-of-a-kind studio ideas related to stitching techniques, sustainable art/design practice, and the cultivation and preservation of slow textiles. My work is included in the 'Locality and localism' chapter and the visuals of all artists included has made 'Slow Stitch' a go-to inspirational source for me. Learn more about Claire's work and process via her very informative blog.